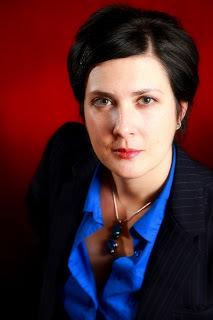 There’s a Self-Publishing Conference coming up on April 14 and it’s free to register for it. The IWSG anthology, Tick Tock: A Stitch in Crime, comes out on May 1. Click on the link to go to the book’s page – pre-orders are open. The IWSG Goodreads Group will be discussing Save the Cat: The Last Book on Screenwriting You'll Ever Need by Blake Snyder on May 23. 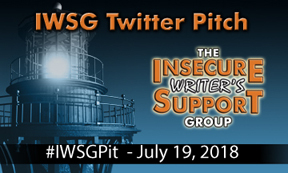 The next IWSG Twitter pitch event, #IWSGPit, is July 19! See that page for details. Some great success stories have come from the first two – it could be you. 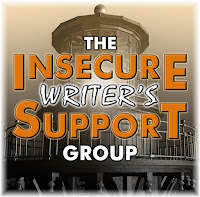 Please welcome Shannon Lawrence to the IWSG Admin team! Shannon will be heading up our newsletter. We need co-hosts for the coming months! If you can co-host on May 2, June 6, July 3, or August 1, please leave a comment below or send us an email. It takes at least four co-hosts each month to keep up with everyone. Thanks! What do you do to keep writing? What events are you looking forward to? Sure some great things coming up indeed. Good morning! Wow! There's a lot going on. Welcome, Shannon, to the admin team :) It's kind of hard to believe the next Twitter pitch is coming up. I might actually be able to participate in this one. When I have to dig deep to write, I find the play lists I make for my stories a real driving force. I have two play lists right now that I flip flop between, depending on which story I'm working on. The music helps me re-enter the world of the story and helps me conjure up the sights, smells, characters, and events that make the story world believable. 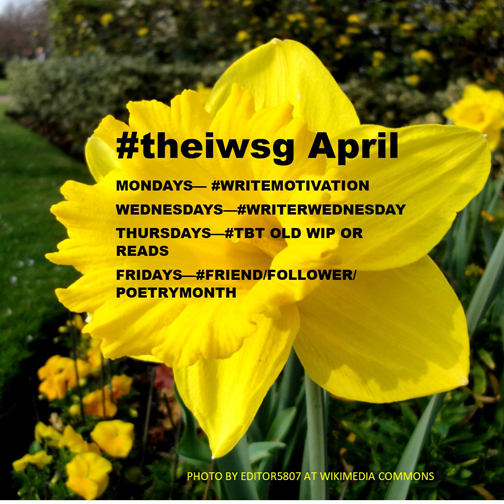 It seems IWSG is kicking off spring with all kinds of exciting adventures. I'm looking forward to that conference, and to working with Shannon! 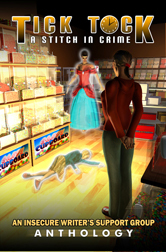 I wish I could have my new fantasy novel ready for the July twitter pitch but it's not there yet. Not ready for the twitter pitch this time...but very hopeful for the next one! I'm excited about all the great upcoming events! And I'll be happy to co-host Aug. 1. Thanks for everything being done for the writing community! Welcome Shannon! I can co-host on June 6th! Hi, Alex! Sometimes I feel so out of it. I haven't gotten into Instagram or Twitter. But preordering Tick Tock is something I can handle ~ LOL I can co-host on May 2. The later dates are likely days I can't ~ my future is so up in the air. Good thing I'm getting used to the feeling. Take care!